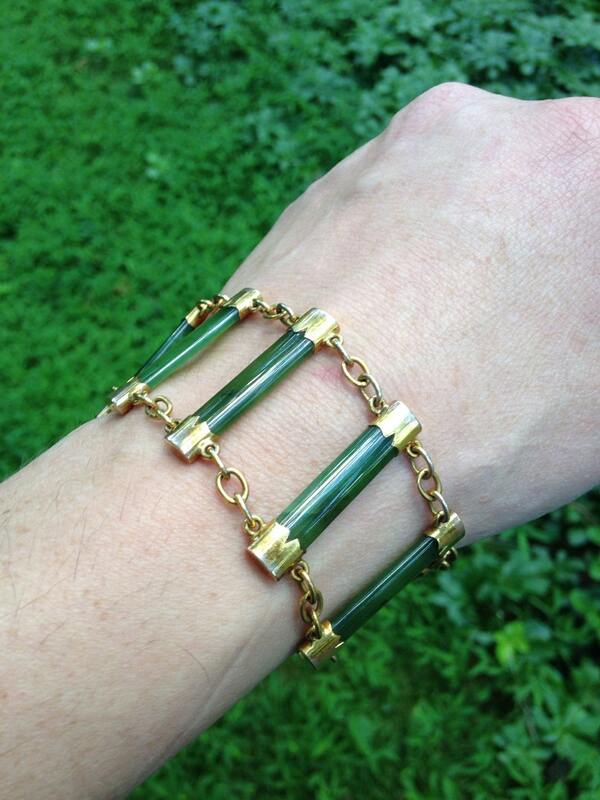 This is a spectacular 9 KT gold English bracelet with cut chrysoprase links. 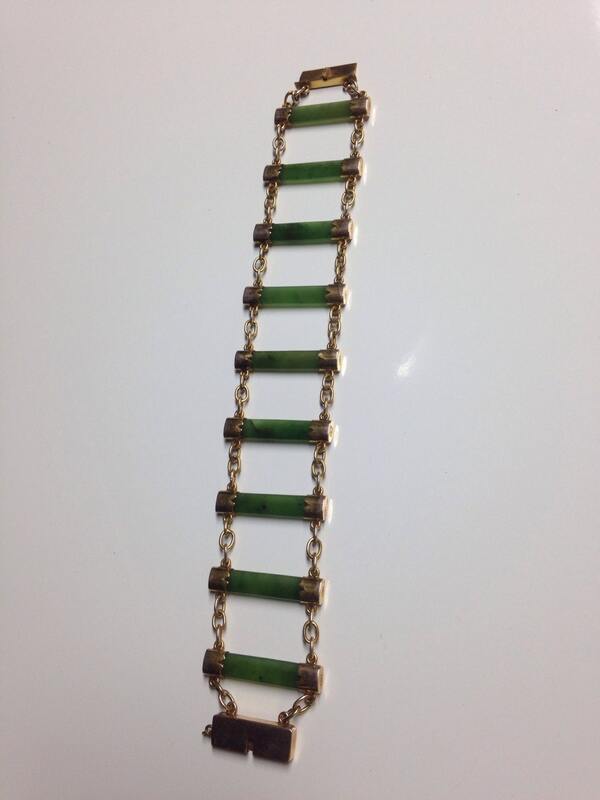 This bracelet was made somewhere between about 1880 and 1910. Let there be no doubt as to the gold content. 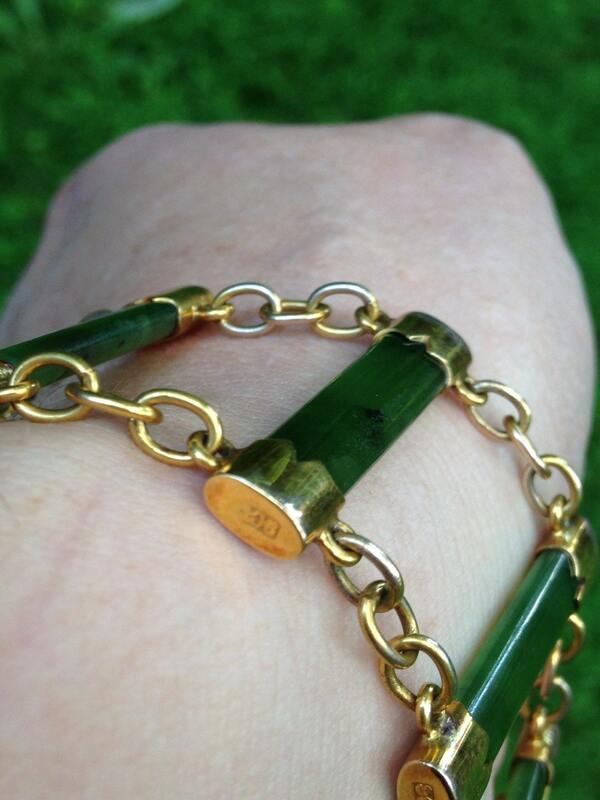 This bracelet is hallmarked '9CT' in nineteen places! 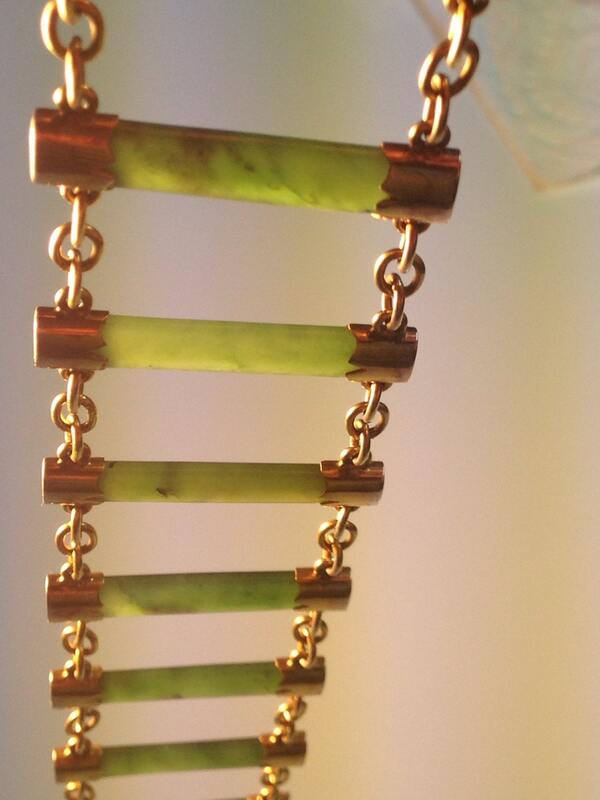 Nine beautiful jade green links with some natural color variances as shown. Very nice English piece that would make a fine wedding or adornment for a proper girl. Pinch clasp is tight and the bracelet is easy enough to get on and off by yourself. Overall weight is a massive 34.3 grams. Currently about 8.5" in total length. 34mm across (1.33"). The bracelet is on the larger side for some people. I could have it shortened for you as needed for a small additional fee. Shortening of this piece would occur in roughly 22mm or 0.9" increments per removed link. 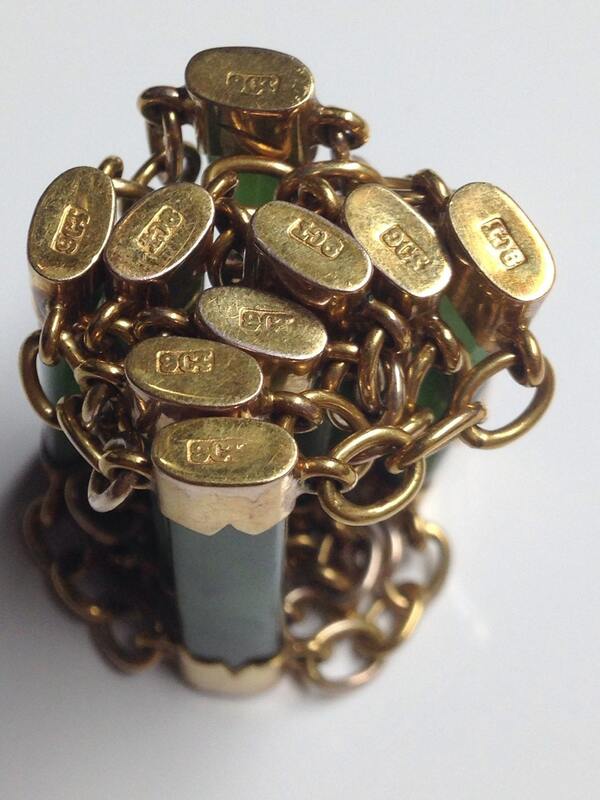 I could (for a small fee) have those removed links made into matching pendants or earrings depending on your wishes. Something to consider if the piece is too big for you. Condition is excellent with a missing security chain (can have it replaced for you). Two locations on the back show acid scratch testing. Can be buffed out.